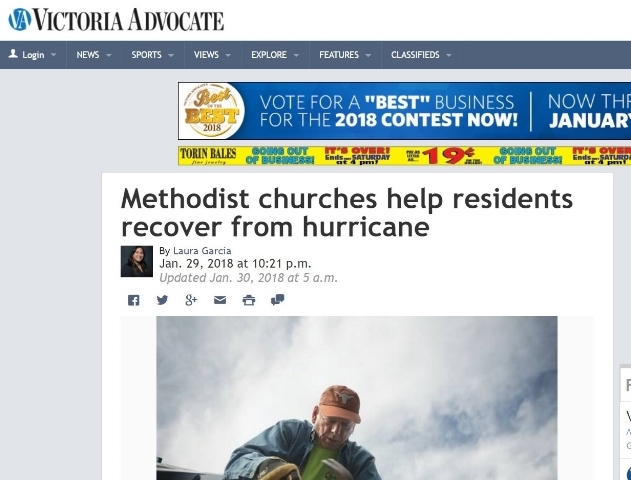 The Victoria Advocate covered on the front page this week the work being done in the Victoria area in partnership with Rio Texas Conference and FUMC Victoria. The story highlights the many volunteer teams who have been responding through the Rio Texas Conference office and the establishment of the case management office - all out of FUMC Victoria. Newer PostUMCOR Sunday March 11 - Use These Helpful Resources!